This Beard Trimmer is designed to be Charged with any micro USB cable. It fully Charges in 8 hours and runs for up to 30 minutes. 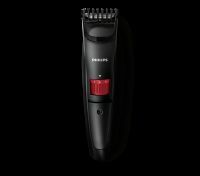 The Stainless Steel blades are self sharpening giving you an hassle -free experience as on day. 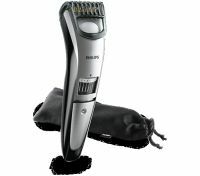 This Beard Trimmer Detacheable head for easy cleaning. To Recieve updates and possible rewards for Philips QT3310 please sign in. To Recieve updates and possible rewards for Trimmer, Clipper & Shaver please sign in.